The reflector for YOFF - Fauna and Flora - A Romanian Society of Radioamateurs National Program. Now is 8th edition of "GreenParty", with annual activity under the patronage of The Romanian Society of Radioamateurs (SRR). Purpose: to stimulate the ham operators to leave the house and involve in portable/outdoor operation related to the nature and ecology and to familiarize worldwide radioamateurs with protected natural areas. - by periods: 6 hours; 12 hours; - you can select it with out pause - and full 24 hours; . Examples of combination as: LP DG 21 MHz 6H; QRP SOMB-2 PH 24H; HP MOMB CW 6H; aso. Report exchange: RS(T) + Number. You can work same station in CW, PH and DG mode, in same band, on their mode segment of band. Number from indoor station is starting with 001 and increment with each QSO. Number from outdoor station is fixed and is derived from reference code of protected natural area without the country code from where the outdoor station is located, NEW but use last letter "F" as first after control RS(T) and before reference number. Ex: A station from YOFF-0123 will send “5 9 9 F 0 1 2 3”. The “indoor” stations which are permanent inside a natural protected area will count as a “outdoor” station and will send a control accordingly. All entrants must operate within the limits of their chosen category when performing any activity that could affect their submitted score. Only the entrant’s call sign may be used to aid the entrant’s score. 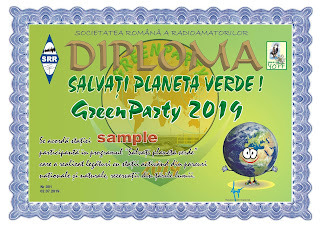 Violation of amateur radio regulations or the rules of the contest; disrespect of hamspirit; taking credit for excessive unverifiable QSOs or multipliers; use of any non-amateur means of communication to SOLICIT, ARRANGE, or CONFIRM any contacts during or after the GREENPARTY will be deemed sufficient cause for disqualification. 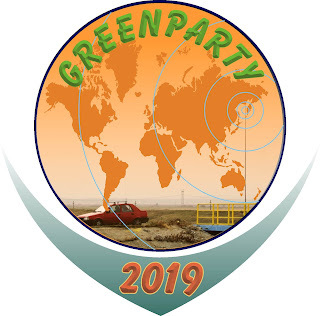 ANY use by an entrant of any non-amateur means including, but not limited to, telephones, email, Internet, Instant Messenger, chat rooms, VoIP, or the use of DX cluster to SOLICIT, ARRANGE, or CONFIRM any contacts during the GREENPARTY is unsportsmanlike and the entry is subject to disqualification. Entrants must not exceed the maximum output power specified by their license, or the power limit of their entry category, whichever is less, on any band. Power is measured at the final output connector of the transmitter. All operation must take place from one operating site. Transmitters and receivers must be located within a 500-meter diameter circle or within the property limits of the station licensee, whichever is greater. All antennas must be physically connected by wires to the transmitters and receivers used by the entrant. The entry location of a remote station is determined by the physical location of the transmitters, receivers, and antennas. A remote station must obey all station and category limitations. The outdoor station will obey the specific rules of the natural protected area from which will operate (according to national laws and national WWFF rules). 10 days after the “party”. Before sent out check with a text editor the Cabrillo files and be sure that is as above! Free contest software DXLOG by Chis 9A5K have a modul for WW GreenParty. Also last versions of UCXLOG have this GreenParty as possible to log. Failure to fill out the header correctly may result in your entry being placed in the wrong category or reclassified as a checklog. We will announce the results will be in 30 days after the deadline as per above. 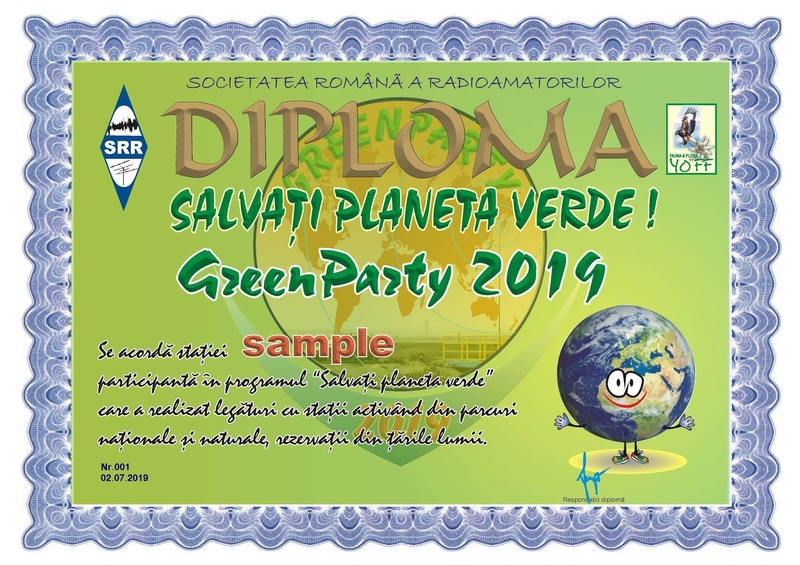 In 8th June 2019 - 9th June 2019 in GreenParty period you may earn the special award from Romania: the " GreenParty 2019" Diploma. Rules: Work at least 7 stations from 7 entities, states, provinces, teritories, in different natural parks and nature protected area on at least 2 continents. The station with top worked countries will get a special award. If you request that the award be sent by electronic means, there is NO COST for the pdf or .jpg document. All participants will receive an electronically certificate. They will be sent out from their team to winners within 60 days of publication of the results. It is intended that each national team to help with one trophy or more. You can take one from list! We were using the DX log in Spratly 9m0W this March and is very GOOD. "Free contest software DXLOG by Chis 9A5K have a modul for WW GreenParty. You can download it from: http://www.dxlog.net/"
All versions of DXLog.net can be used to evaluate software functionality with some limits. Unregistered version can be used without any limits for DXPeditions. - DXLog.net will restart itself every 10-20 minutes. - Log file cannot be exported to different formats (ADIF, EDI, Cabrillo etc.)" Eventually is it free or 20euros/year ? Pentru a vizualiza lista tuturor codurilor de referinta la nivel mondial puteti incerca AICI! SUNT CONDITII PENTRU A SE PUTEA CERE DIPLOMA WRFF ! NOW ARE CONDITION READY FOR WRFF AWARD ! This work by Societatea Romana a Radioamatorilor is licensed under a Creative Commons Attribution-Noncommercial-No Derivative Works 3.0 Romania License. 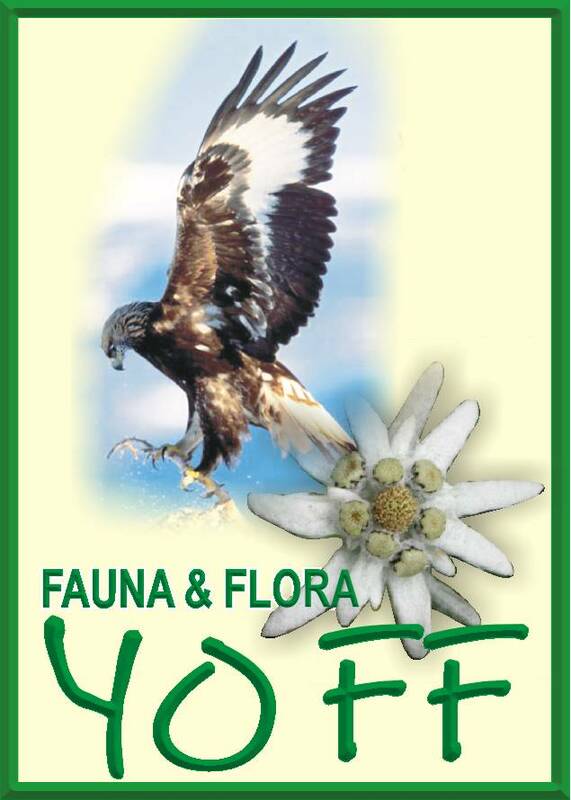 Started in Romania in June 2009 by YO3JW Flora Fauna program has taken off in a big way and is about conservation and is aimed at National Parks, Nature Reserves and Coastlines. Like other countries, Romania has now (June 2009) a YOFF program supported by Romanian Society of Radioamateurs. YOFF program is representative for Romanian branch and have all right about it. YOFF Award for YOFF "hunters"
Please, feel free to contact us for anything related to YO - Fauna&Flora Program! The content of this website is subject to the Romanian Copyright Act (Law nr.8.1996) and is release under Creative Commons Attribution-Noncommercial-No Derivative Works 3.0 Romania License. All the rights for the pictures belong to the photographers. Copyright 2009 yo3hjv- Societatea Romana a Radioamatorilor - Romanian Society of Radioamateurs. Se interzice copierea, in tot sau in parte a continutului acestui site; orice preluare de informatie scrisa sau vizuala se va face cu inserarea unui link catre articolul preluat.